He was an icon, flamboyant pianist, egomaniac, showman par excellence: Liberace – the King of Bling – enjoyed an unparalleled career. The salon pianist turned megastar lived the American dream, but it was a life of unmatched paradox and eccentricity. He was an icon, flamboyant pianist, egomaniac, showman par excellence: Liberace – the King of Bling, led his life in the fast lanes between Hollywood, Las Vegas and Palm Springs. In the middle of the Californian desert, where Hollywood stars celebrated wild parties around private pools, he lived a paradoxical life of spectacle and secrecy, illusion and reality. His success is closely linked to the growing popularity of television and the American TV era. The Liberace Show was the name of the TV show that brought him fame in the US from 1952. Initially intended as a summer replacement for the Dinah Shore Show, it became a cult in its own right – attracting an incredible 30 million viewers in the 1950s. 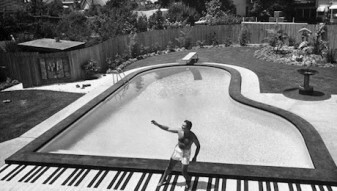 Scores of American housewives adored the flamboyant musician who could play everything from jazz to classic. 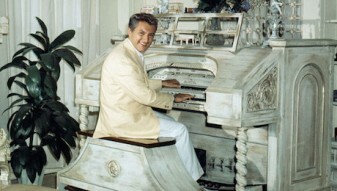 His fans loved his candelabras, charisma, glamour, increasingly outrageous outfits and his music. His public life was as paradoxical as his legendary performances were glamorous. 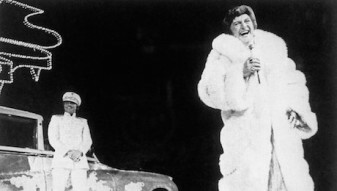 No other artist cultivated such an openly camp persona on America’s biggest stages while at the same time vehemently refusing to come out as gay, a façade Liberace kept up until his death in Palm Springs in 1987. He was one of the first celebrities to die of complications from the AIDS virus, although his death was officially attributed to „heart failure“ in order to preserve the memory of the one-man Disneyland. This film examines the phenomenon of how and under what circumstances a pomaded salon pianist could become „America’s first idol“. We consider his stellar career and its abrupt end in the context of America’s social and media history. 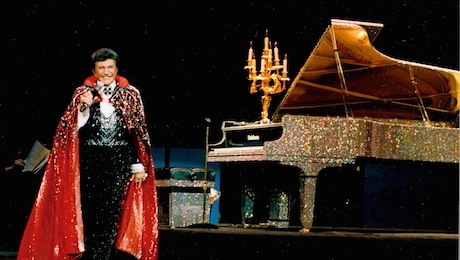 Parallels have to be drawn in order to understand the „Liberace“ phenomenon from today’s perspective. Liberace’s life and success story reflect the American dream – but also the country’s bigotry and the divisions of a rapidly growing society.